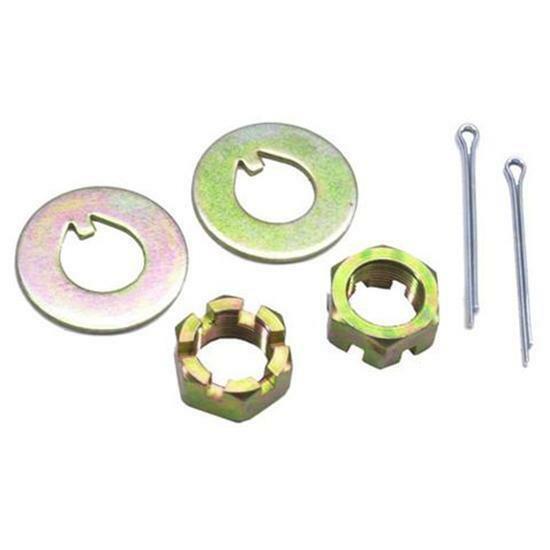 This spindle nut kit can be used with Speedway 1949-54 Chevy style (modified) passenger car spindles or OEM 1953-82 GM spindles. Kit includes a pair of castle nuts, washers and cotter pins. Height up to the bottom of the castellated notch: 0.276"
Wrench size for nut: 1.00"
These dimensions are approximate. Certain brake kits may require removal of some of the nut material to allow for installation of the cotter pin.